We offer samples of our video brochures for evaluation, technical guides, design templates, structural layouts, mock-up preparation and support throughout the project. Credit is offered to all credit worthy customers ensuring your client’s budget is underwritten in full – no up-front payments necessary. 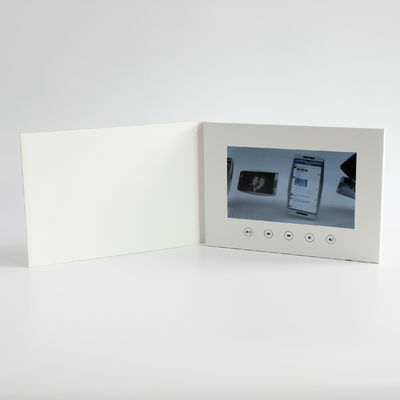 Our most popular video marketing product range is the LCD Video Brochure or Video Brochure range. 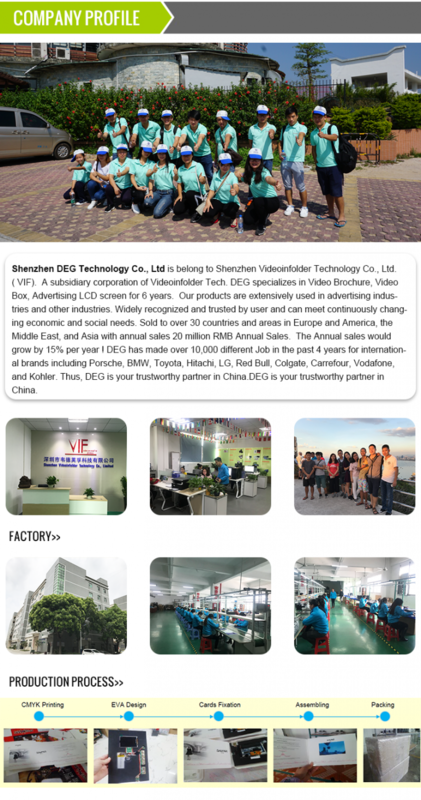 The video brochure is a LCD screen integrated in a pageless, printed soft or hard cover brochure. 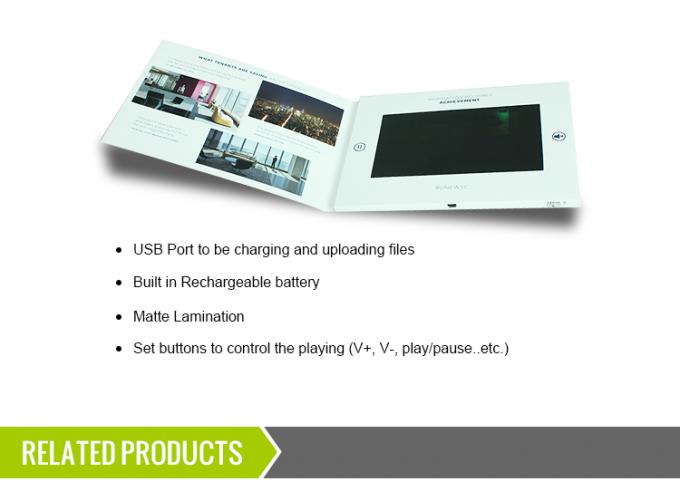 This product's popularity lies in it's simple open to play video, interactive interface. It enagages viewers with simple button controls to replay videos over and over again. The perfect tool to help overcome any marketing challenge and deliver true actionable engagement and results in any industry segment. 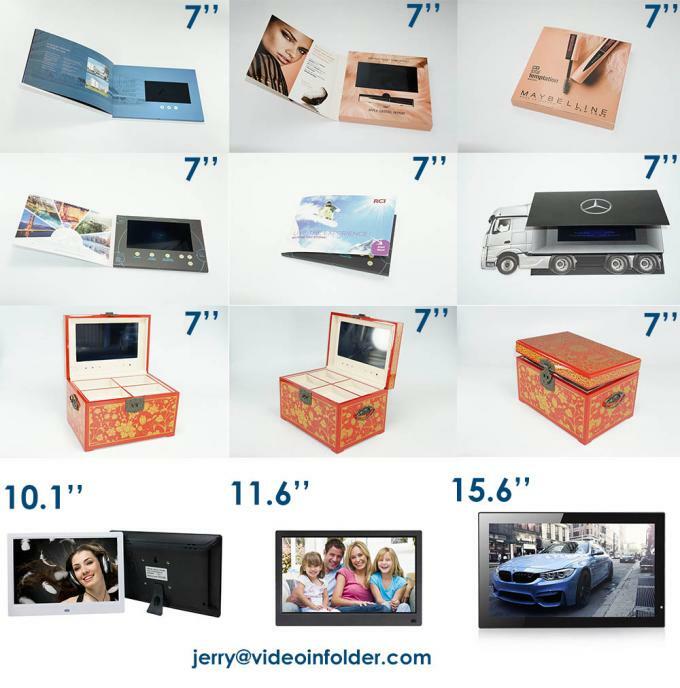 Video Brochures are highly targeted audio and visual communications, connecting with customers at the right time to deliver a strong video marketing message that’s distinguishable from traditional content. 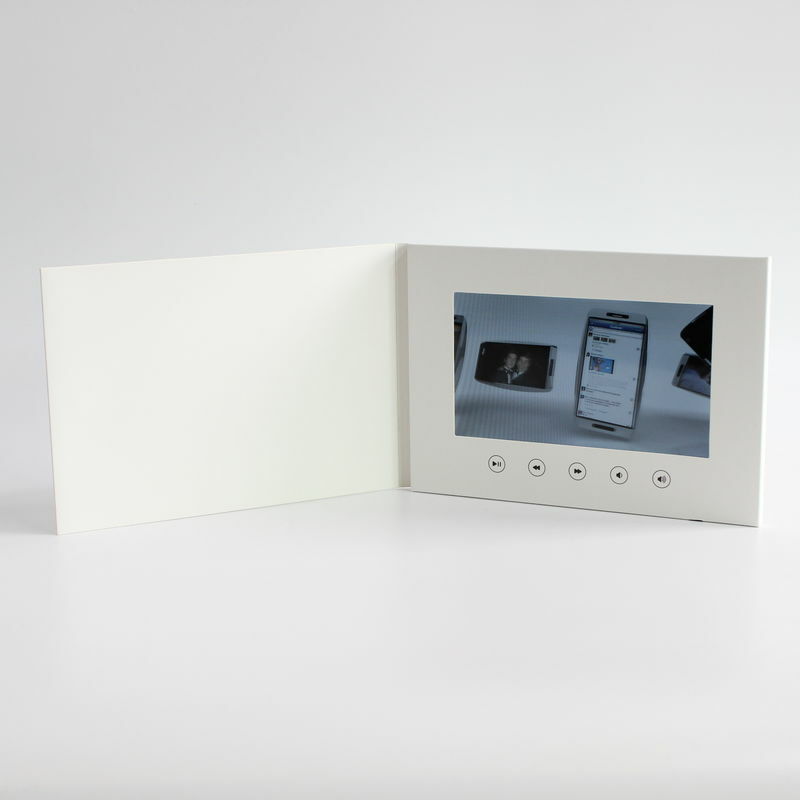 Video brochures combine the effectiveness of traditional print brochures with the engagement of multimedia, bringing customers an interactive experience within a multi-sensory package. 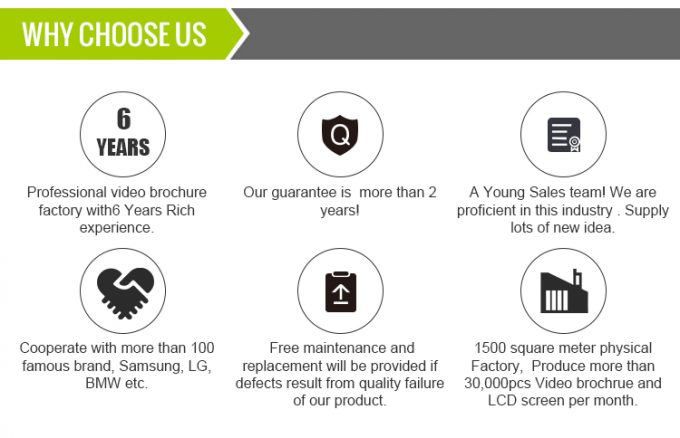 How do video brochures work? 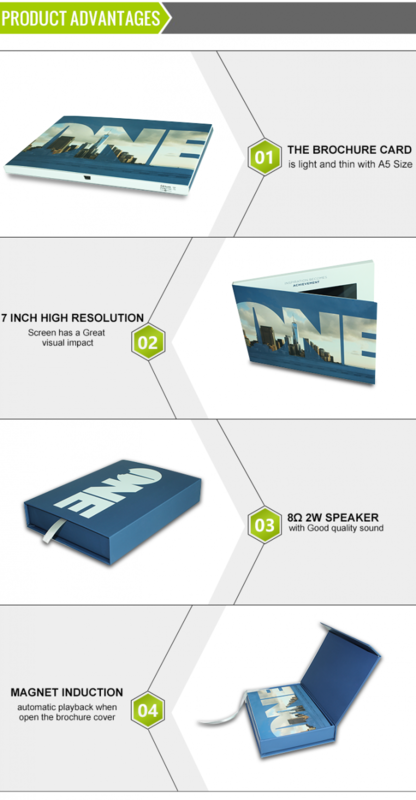 Video brochures feature a thin LCD screen and speaker. The videos can be uploaded and the device battery recharged via USB, with up to 5 hours playback time. Each card is set-up to auto start on opening. 2,Choose a right size of template , such as A5 148x210mm, A5 297x210mm, 210x210mm, Or you can tell me a special dimension, I will send you a custom template. 3,Customer should create the artwork based on the template. 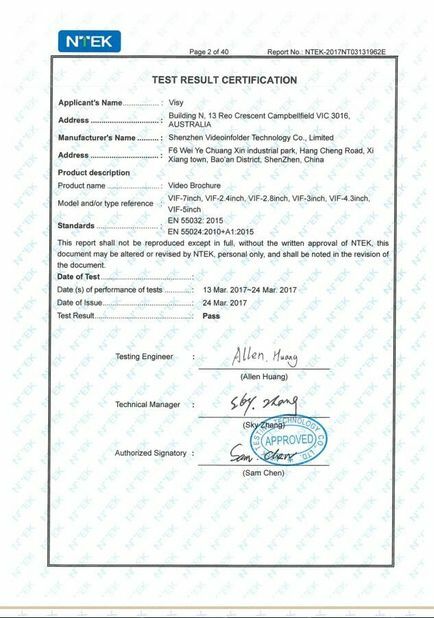 We need PDF/AI file. 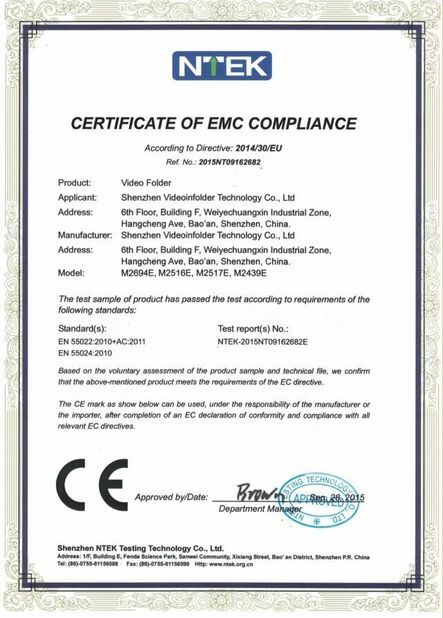 4,We will send you a digital proof of JPG for confirmation.